North Carolina’s top political news podcast. We bring you interviews with leading newsmakers and commentary from the reasonable right of center. In each episode, we'll dive into a hot topic in N.C. politics. 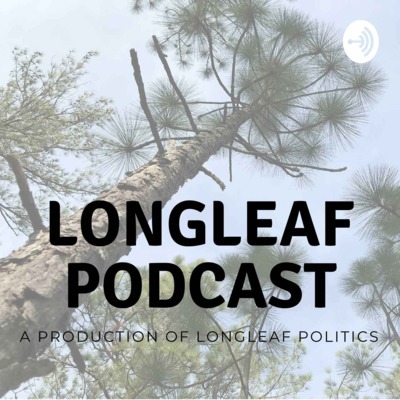 The Longleaf Podcast is a production of Longleaf Politics, the smartest way to follow North Carolina political news and information. Plus will Republicans have time to come together and win back the executive mansion? State Sen. Jeff Jackson wades into the Mueller debate and the National Association of Realtors PAC drops $1.3 million in a primary. After Gov. Cooper vetoed the Born Alive act, the rhetoric quickly got out of control. We parse what this bill is actually about. As the "Born Alive Abortion Survivors Act" heads to Gov. Cooper's desk, we look into the two contradictory counterarguments being put forward by the left. Then we discuss Rev. William Barber being allowed back at the General Assembly building and Dan McCready refunding a $2,000 donation from Rep. Ilhan Omar. We take our first look at first quarter fundraising filings in the 9th Congressional District then touch on a strong statement from Iredell-Statesville Schools about keeping class in session on May 1. NCGOP executive director Dallas Woodhouse said today he’ll leave the job in June when his contract expires. It’s not really a surprise, and we discuss why. Also, get to know Gov. Cooper’s two new picks to the state Court of Appeals. We catch up with Lawrence Shaheen, a Charlotte attorney and recently elected chairman of the Mecklenburg County Young Republicans. The Meck YRs recently published a statement calling for a "fresh start" and new leadership in the wake of the indictment of NCGOP chairman Robin Hayes. We talk about what the Mecklenburg County Young Republicans are about and what the state needs in its next state GOP chairperson. North Carolina's two largest school districts — Wake and Mecklenburg — have now both said they'll cancel classes on May 1 to allow teachers to attend the N.C. Association of Educators rally/strike in Raleigh. We go into why the NCAE is disingenuous in its rhetoric and question why school districts are leaving families high and dry. Plus, we discuss: A minor dust-up between 9th District Republicans Stony Rushing and Dan Bishop A new bill to require Uber drivers to display a lighted sign The N&O is criticized for insensitive coverage of the Durham explosion Thanks for listening — be sure to hit subscribe to get our daily news and commentary from the reasonable right of center. We go over a few of the day's top headlines, including a Meredith poll that says both Republicans and Democrats think we need a viable third party in state politics. I explain why that's not going to happen and might not be the best idea to pursue anyway. Plus, a quick recap of the Medicaid expansion that shall not be named, a somewhat silly fix to the state's voter ID law, and an examination of whether North Carolina really is not suited for rail transit. Will Charlotte-Mecklenburg consolidation ever happen? For decades now, Charlotte and Mecklenburg County have been talking about consolidating their governments. They've taken small steps forward, coordinating on certain services like police, water, and parks. Now more coordination for land development is on the table, and we talk about its chances of moving forward with Bryan Holladay, the principal of CLT Public Relations. Usually, the media reports on political contributions as something underhanded and nefarious. And yes, it’s important to watchdog money in politics — as the recent indictments prove. But there are plenty of good reasons to contribute to candidates. We go over 5 of them. North Carolina can’t seem to have an honest conversation about education. We’ll get into why. First, the media unfairly paints the NCGOP as out to destroy public education. Second, we can’t decide on what numbers are fair. And third, we don’t have any way to actually gauge how teachers feel. Will the Robin Hayes scandal spread? A day after NCGOP chairman Robin Hayes was indicted along with a major political donor, the big questions is: Who else might get wrapped up in the scandal? We examine the connections Wayne Goodwin, Mark Walker and Dan Forest have with Greg Lindberg and the chances that they might be damaged politically. We also spend time discussing Cherie Berry's impending retirement and a new proposal that would give teachers direct access to $400 apiece to buy classroom supplies. Robin Hayes INDICTED. Is there a silver lining for the NCGOP? 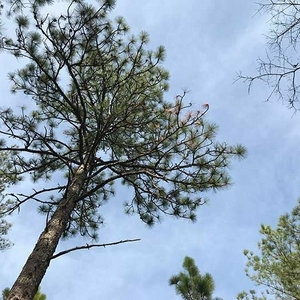 The Longleaf Podcast is back in a new format! North Carolina’s best political commentary on the day’s top news. Today, we take on Robin Hayes’ indictment. We chat with the author of Cumberland County's new political blog Cross Creek Divide on the state of Fayetteville politics, Cumberland as a bellwether county, the turmoil in the 9th Congressional District, and the value that political bloggers bring to the marketplace of ideas. Is it gerrymandering or geography? In this episode, we take on the most common counterarguments to the piece in this week's Longleaf Politics newsletter about why Democrats won a majority of the statewide vote but a smaller percentage of seats. Join the conversation! Send a note to andrew@longleafpolitics.com. The 2018 elections had extraordinarily high turnout for a midterm year. Thousands more people, from all political persuasions, were involved. Here are five ways to keep it up between now and the next election, ranked by how easy they are. We're back with a mini-episode about candidates for political office who aren't just flawed, but actually on record saying reprehensible things. A recent example is Russell Walker, a N.C. House candidate on the Republican ticket who made racist comments. Headlines this week described how a racist N.C. Republican won 37% of the vote. We dive into why we keep seeing this type of person on the ballot and what we can do about it. Now that the dust has settled a little bit from Election Night, we spend this episode breaking down the biggest winners and biggest losers from the midterm elections. It was hard to spin it as anything but a bad night for N.C. Republicans, but at least one of them makes the biggest winner list. Get involved in the podcast! Send in feedback to andrew@longleafpolitics.com. And please, leave us a review on your podcast platform of choice. We run through the 5 top stories to come out of the 2018 midterm elections in North Carolina. The biggest: Republicans have lost their supermajority in the N.C. House. The team at Indiv has sponsored this podcast for the last few months, and this week we wanted to bring you the story of how the app came about and how they're working to improve the political conversation in North Carolina and around the country. With 10 days remaining until Election Day, we catch up with North Carolina political experts Tonya Jameson (Democrat) and Lawrence Shaheen (Republican) on what they're seeing at the polls and what early voting returns lead them to believe for this election. We touch on several incidents of incivility and how candidates set the tone for campaigns. Then we talk fearless predictions for the 9th Congressional District, the General Assembly supermajorities and some other key races. We speak with Michael Bitzer, political science professor at Catawba College, about this year's early voting. Bitzer is doing a phenomenal job breaking down the wealth of data emerging on early voting — which is coming in at levels more similar to presidential contests than the midterm election we're in this year. Topics include the suburban battle lines being drawn and whether Democrats or Republicans can claim the title of most enthusiastic. Episode 015: Do local electeds need longer terms? Charlotte's City Council is again proposing increasing the length of their terms from two years to four years, saying that they are not able to be effective when they're campaigning so much. We speak with Mecklenburg County commissioner Matthew Ridenhour about whether local government officials really need longer terms. We speak with Paulina Havelka, a Republican in Mecklenburg County, on her race for District Court judge, how new districts created by the General Assembly this year impact the campaign, and how incorporating judges' partisan affiliation changes the landscape. We spend this episode with Catherine Whiteford, national committeewoman of the North Carolina Federation of Young Republicans and a candidate for North Carolina House in Wake County. We go deep on how young people are changing the makeup of the party and how conservatives can approach higher education policy. We speak with Susan Harden, a Democratic candidate for a district seat on the Mecklenburg County Board of Commissioners. She's one of a groundswell of first-time female candidates motivated by the 2016 elections to get more involved in public affairs. We chat about how America can help people get past cynicism to be a part of the political system, and how to learn campaigning as you go along. We talk with two of the leaders of the Innovative School District effort to turn around chronically underperforming schools just a few days after their first school — Southside Ashpole Elementary in Robeson County — welcomed students in the door for the first time under new leadership. We catch Sen. Jeff Jackson in between campaign stops as he works to help Democrats break the Republican majority in the General Assembly. We talk about the growing discontent among North Carolina voters and the conversations we as a state should be having but aren't. We unpack the federal court decision that's thrown the 2018 elections into disarray with Professor Michael Bitzer of Catawba College and Republican political consultant Lawrence Shaheen. We talk about what the court is seeking to achieve, what the likely outcome will be and whether this could come back to bite N.C. Democrats. We go in-depth on the I-77 toll lane contract debate with Sen. Jeff Tarte, a Cornelius Republican and outspoken opponent of the "managed lanes" concept. Even if you're not in the Charlotte area, you'll learn a lot about how the Cooper administration has interacted with the General Assembly. We speak with Martha Johnson, who created the Indivisible NC affiliate in Southport — called Southport Indivisible - Stepping Forward. We go under the hood of the left-leaning grassroots organization that's seeking greater political participation in 2018 and beyond. We speak with Jim Burton, owner of Burton Research and Strategies and former N.C. House caucus director, about how candidates can effectively communicate on important issues, how 2018 messaging will differ from 2016, and how candidates can break out of the generic partisan mold. We speak with Brent Woodcox, special counsel to the North Carolina General Assembly, about how things are done differently under Republican control, whether the court system is unusually prominent in today's political landscape, and how #ncpol Twitter can be useful. We talk with Chad Stachowicz, a Charlotte tech company founder and CEO and the Democratic candidate for N.C. Senate District 39, about why he decided to run for office and what he's hearing as he knocks on doors around the district. Episode 003: Can Charlotte become a political town? Charlotte was just awarded the 2020 Republican National Convention, but the city is much better known for business than politics. Longleaf Politics publisher Andrew Dunn talks with Charlotte political consultant Lawrence Shaheen about why Charlotte seems to be so inept at politics and how that could change. Longleaf Politics publisher Andrew Dunn speaks with Matthew Ridenhour, a Republican county commissioner in Mecklenburg County and a two-time delegate to the Republican National Convention, about what it would mean for Charlotte if the city is selected to host the 2020 RNC. Longleaf Politics publisher Andrew Dunn is joined by Charlotte Republican political consultant Lawrence Shaheen and Democratic campaign manager Tonya Jameson to talk about the 9th Congressional District race, grassroots efforts on the left, and whether education will be the top issue in the 2018 General Assembly elections.